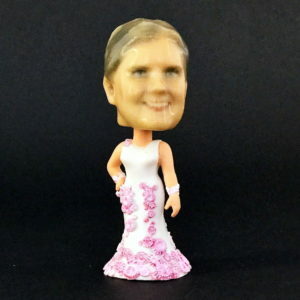 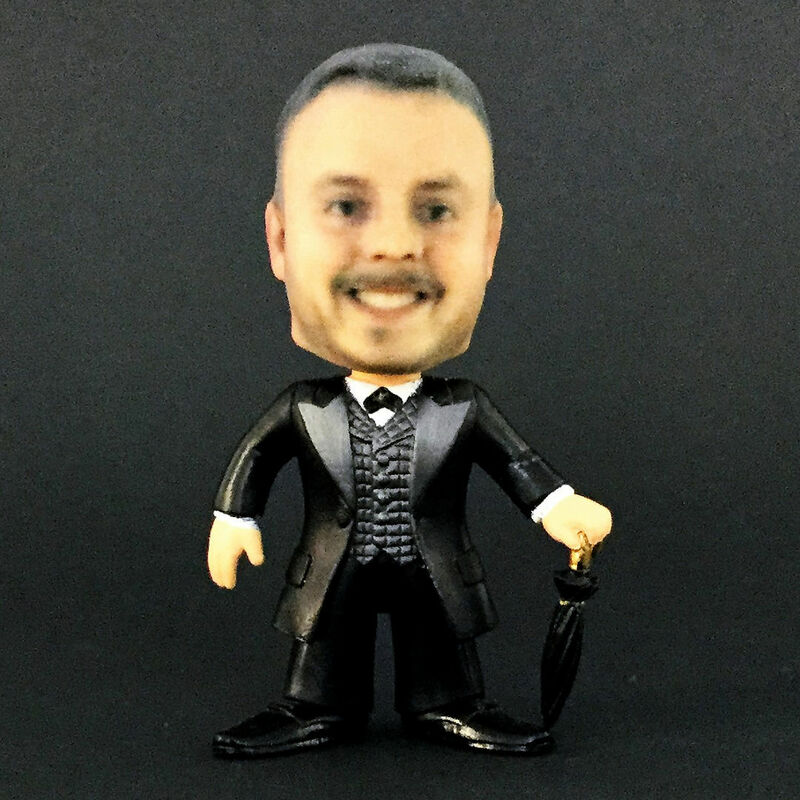 Products that have been specially tailored for weddings, including full figures, bobbleheads, Barbie heads, and LEGO. 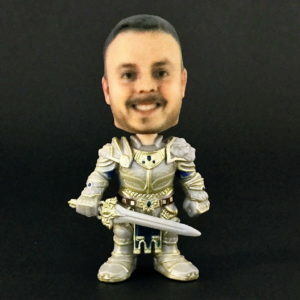 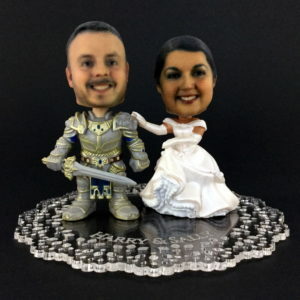 These make wonderful and unique cake toppers, keepsakes, or gifts! 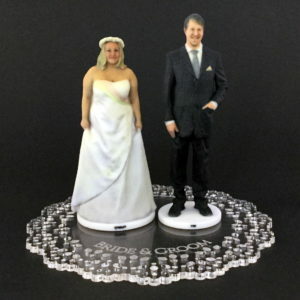 Bride and groom full figures, these come with a custom laser cut acrylic base engraved with your names. A special line of our Funko Pop! 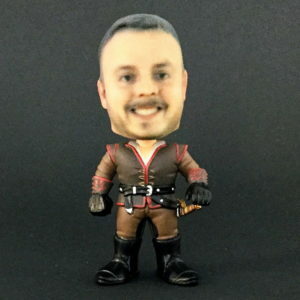 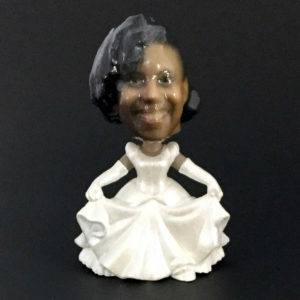 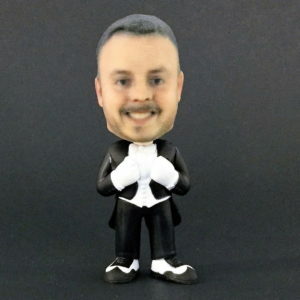 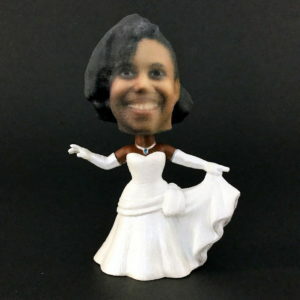 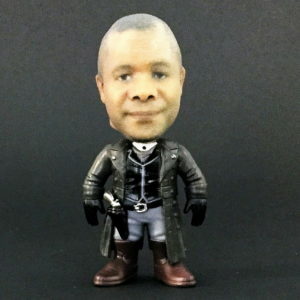 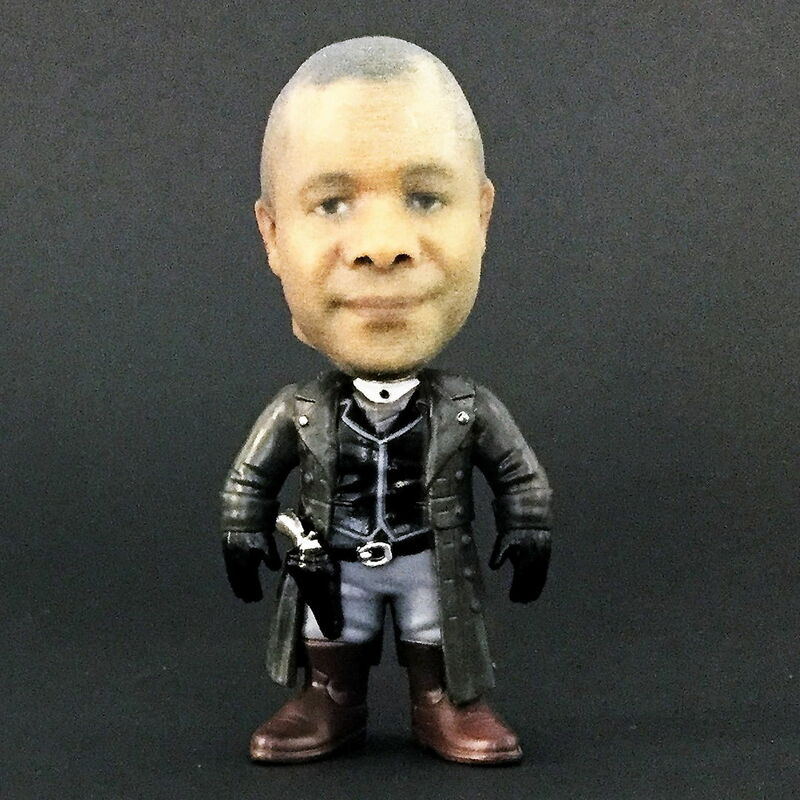 based small bobblehead bodies especially for wedding cake toppers! 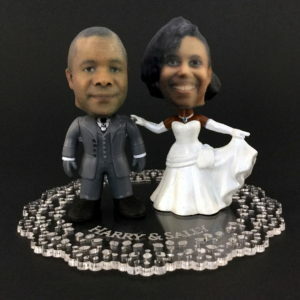 Comes with a laser cut acrylic platform custom engraved with your names. 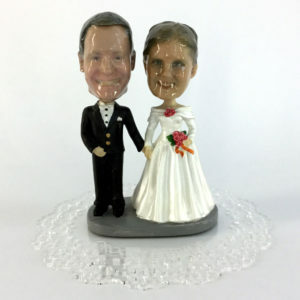 Figures can be permanently or temporarily attached to the platform, or left loose by request. 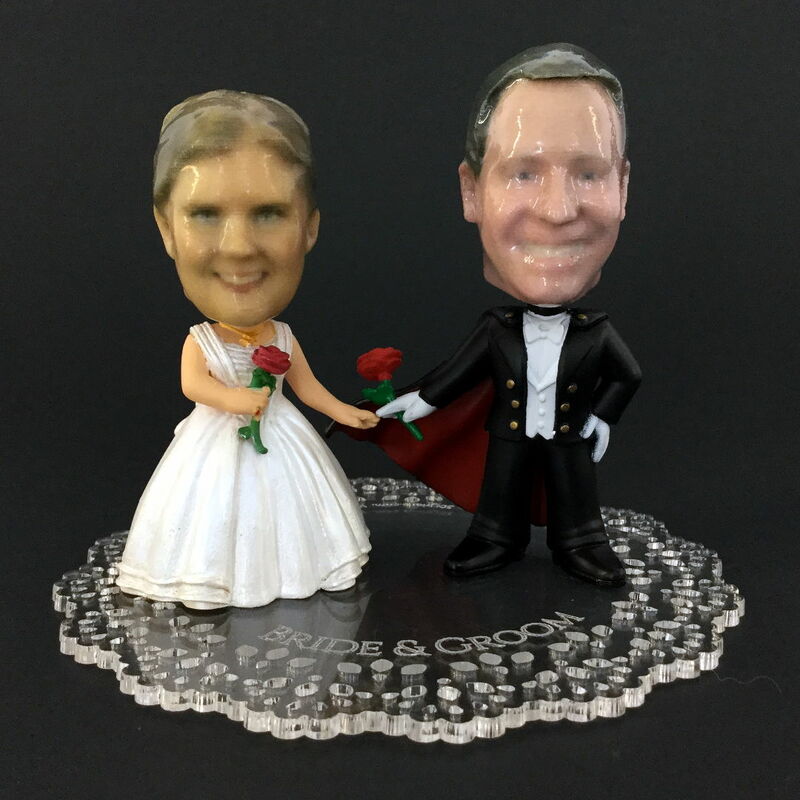 Heads are coated with a protective gloss coating by default; this can be omitted by request. 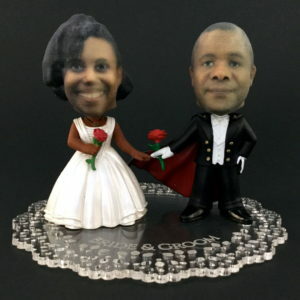 Mix and match brides and grooms; some suggested pairings are shown below. 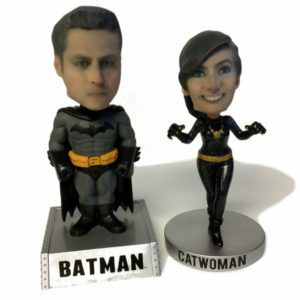 You can also select a pair from the unpainted Pop! line, such as a famous movie couple! The body base price (from amazon.com) is listed in parentheses. 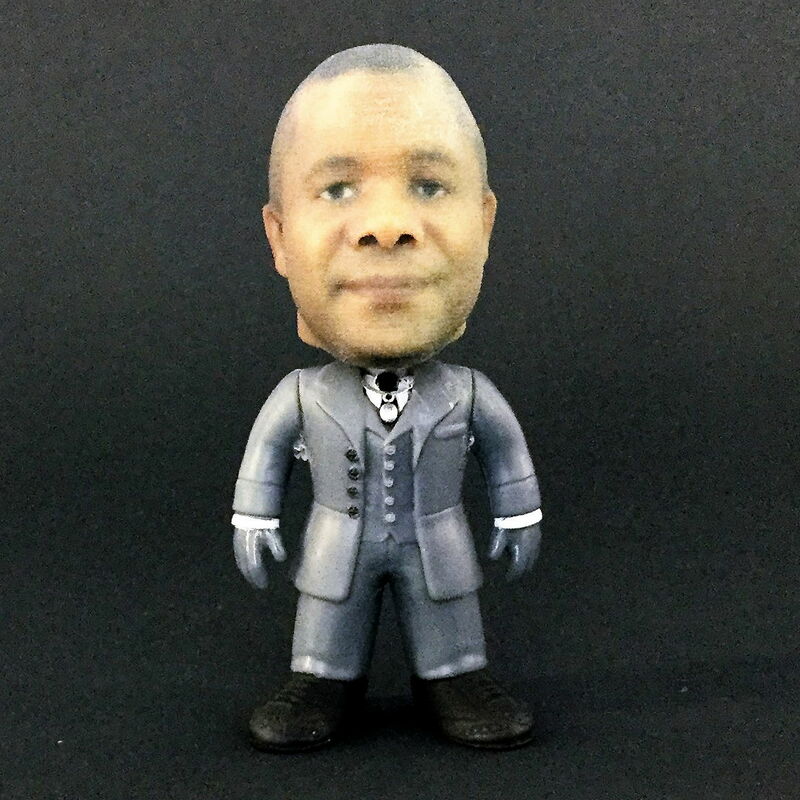 Due to their collectable nature, prices may change frequently and without notice. 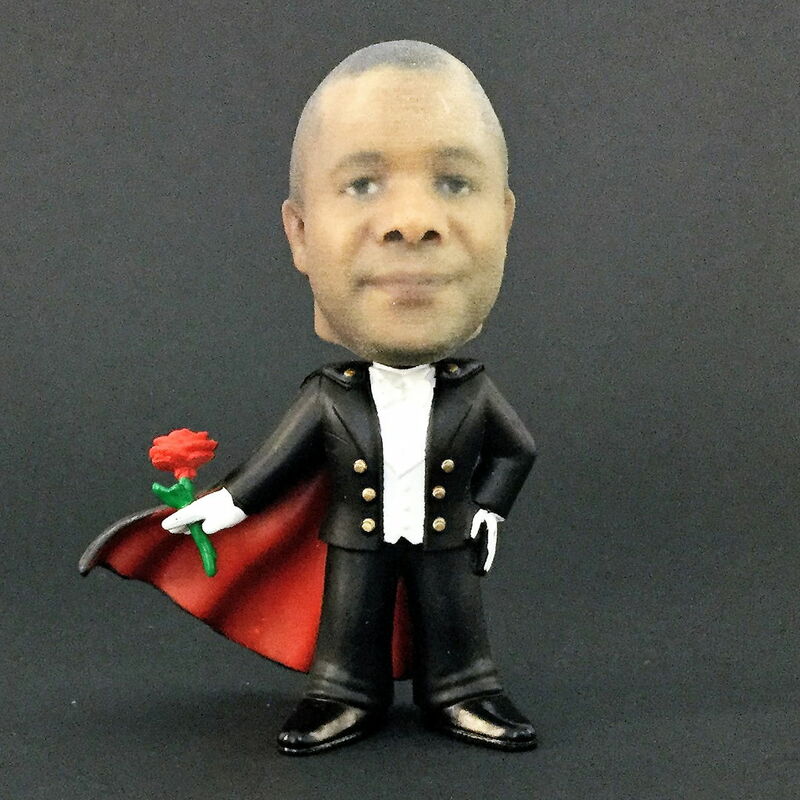 Please disable any ad blockers in order to see the current market price (from amazon.com) of the source figure. 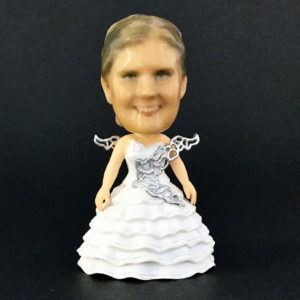 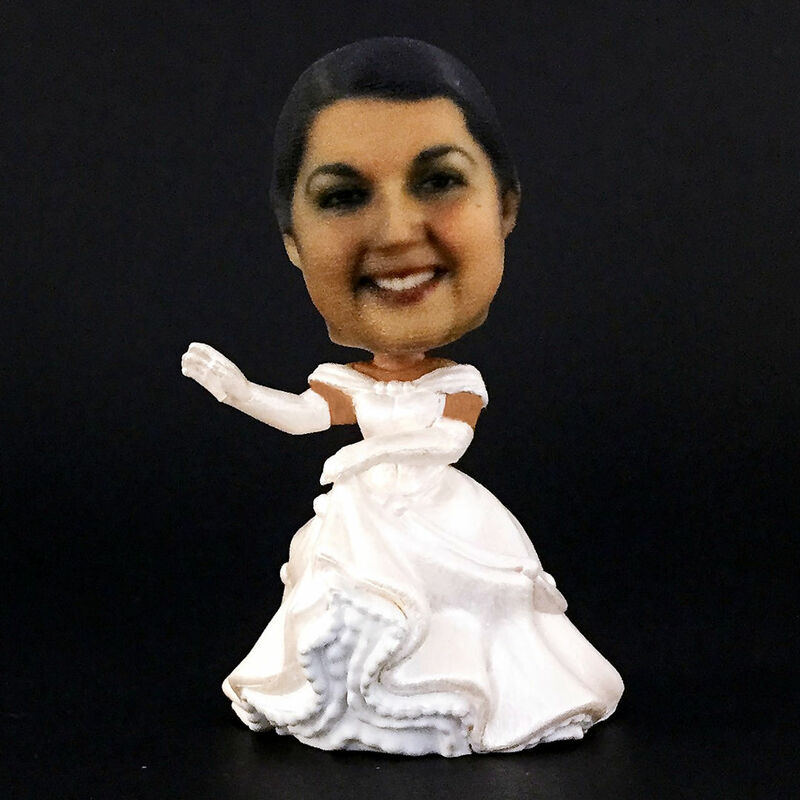 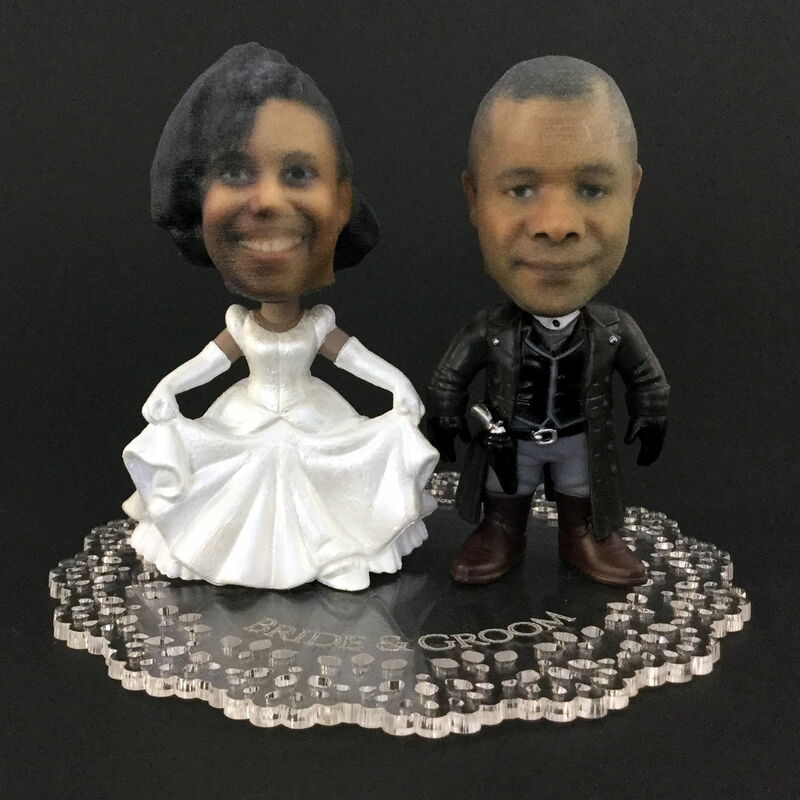 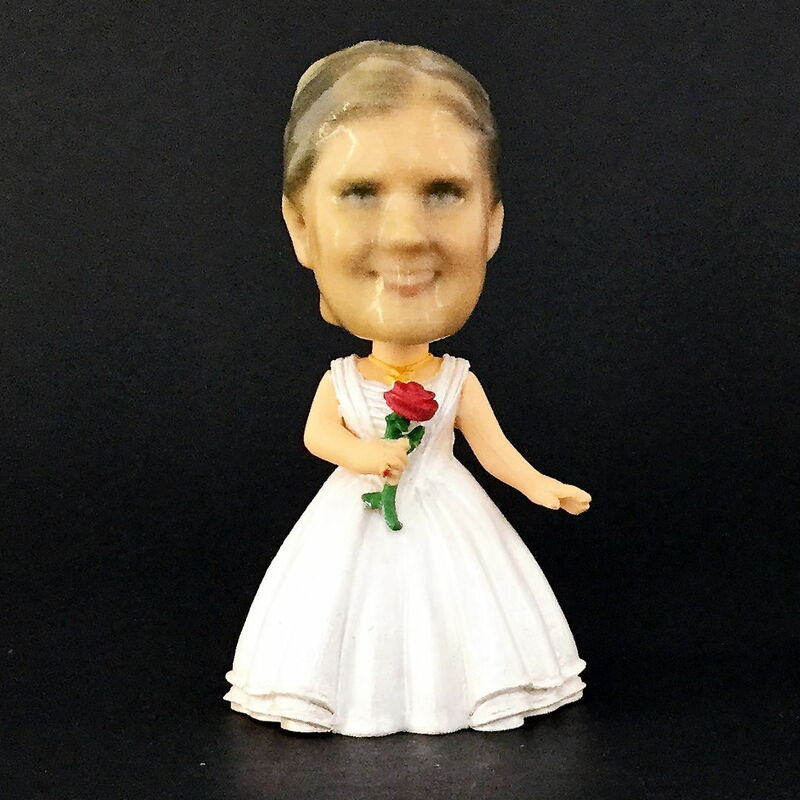 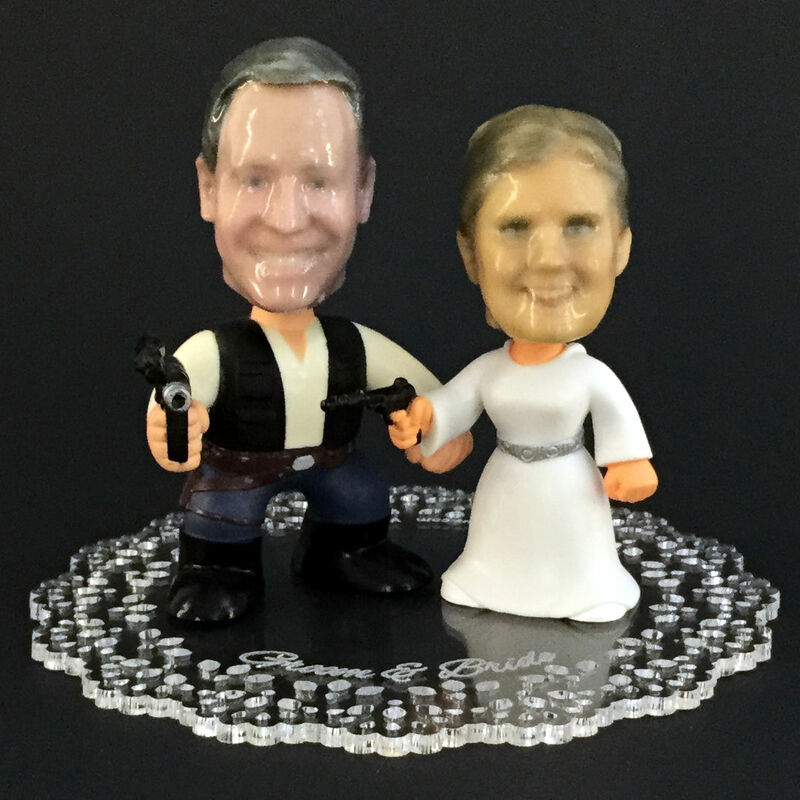 Stock Bride & Groom double bobblehead cake topper, or a pair from our large bobblehead line. 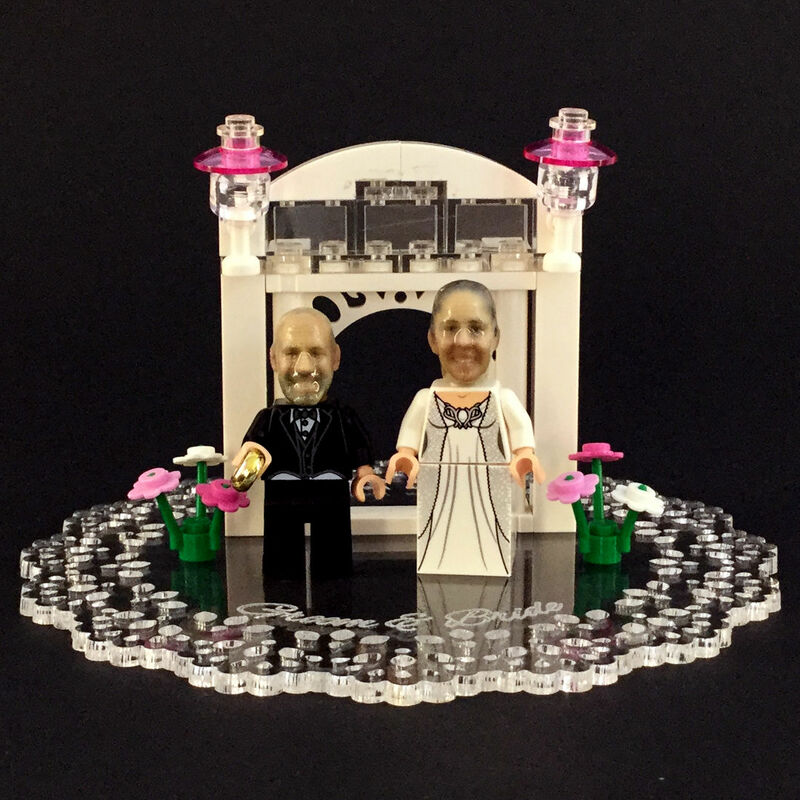 Heads of the bride and groom on LEGO minifigures with arch and flowers, mounted on a laser cut acrylic platform custom engraved with your names. The exact minfigures and arch designs are subject to availability at the time of ordering. Heads of the bride and groom designed to fit on Barbie or similar dolls. 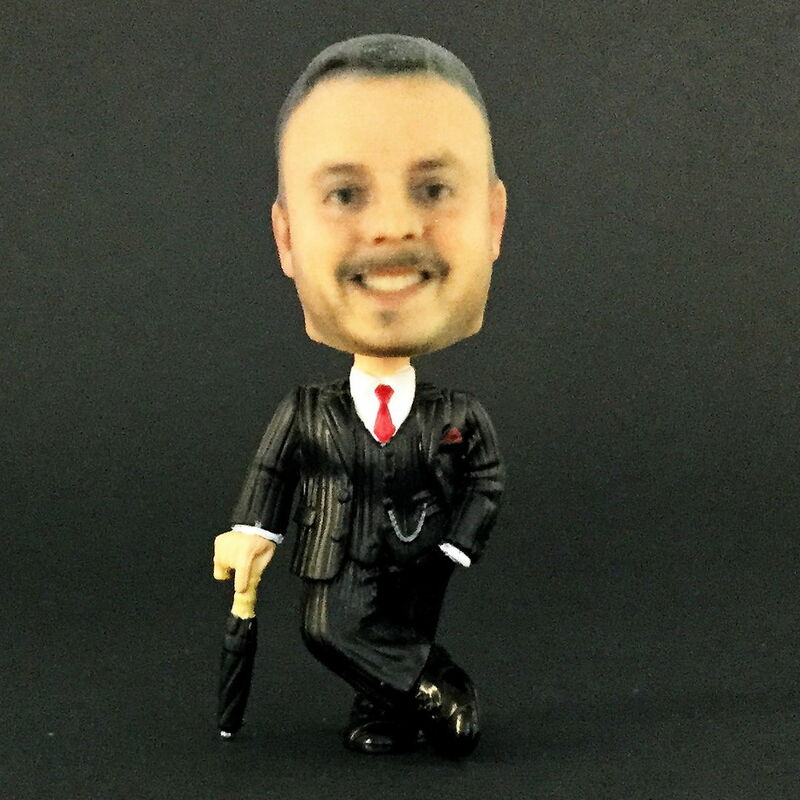 Please note that we only provide the head; the body must be provided by the purchaser. 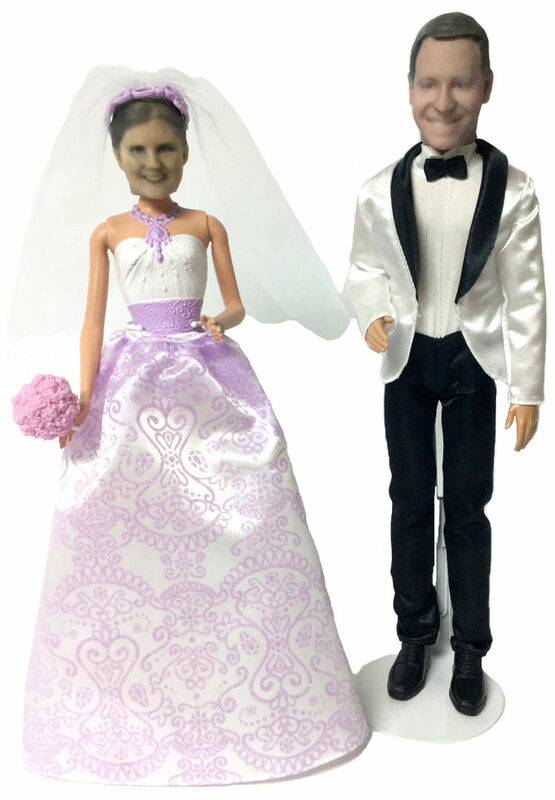 There a large existing market for wedding themed Barbie dolls, as well as custom dressmaking services for them available from third parties. Due to the wide variety of neck sizes and attachment methods, the body must be provided to ensure a proper fit.